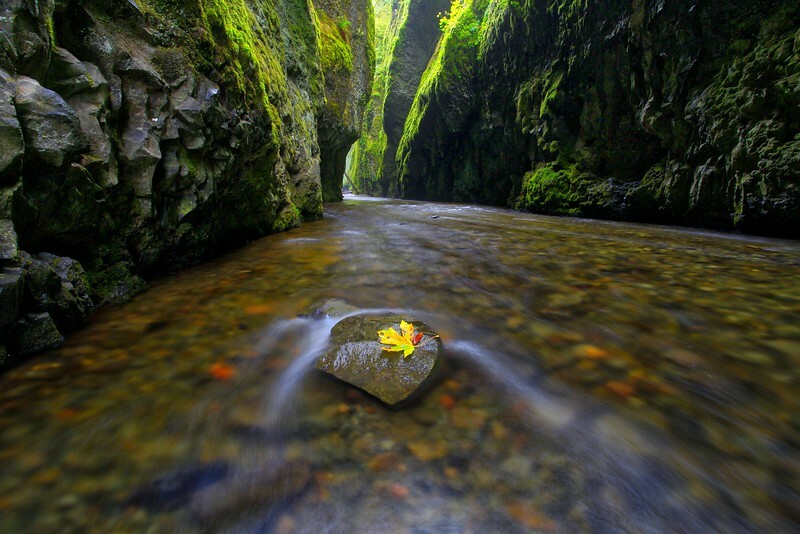 Oneonta Gorge is a 20 ft wide chasm with high basalt walls. About half a mile up this creek is a scenic 100 ft waterfall. To get there requires wading through frigid water which is chest-deep. That will be another adventure for another day. Exceptional shot! I love the shutter speed and light.